As per usual iFi does an excellent job at design and construction of another of their products. Robust, functional and smexy. The IEmatch port is suitable for sensitive BA earphones and the the direct for standard headphones, BA and DD earphones. Play around and see which you prefer. and Listen setting is a tad more natural and musical. Digital input for iOS, Android and PC/Mac. but with the variety of Android connectors it probably isn`t practical. for an enhanced listening experience. I use VOX player application on my old Macbook pro. When connected to my well used Campfire Audio Andromeda I often used the IEMatch port, but found the 1 ohm output of the direct port pleasing. iFi nano iDSD Black Label plays back the tracks natively with no downsampling. 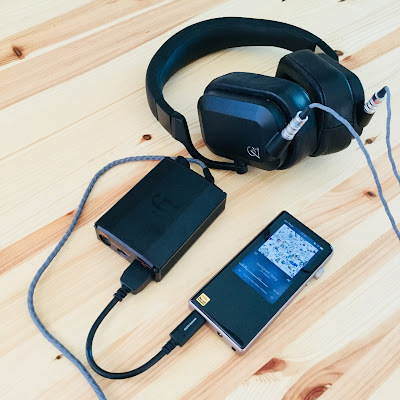 Shanling M3S, with Campfire Audio Cascade. Due to a lack of the proper cable in my possession I did a little Frankenstein work around to test out the Opus#1S Dap with the iFi Nano iDSD Black Label. After some fiddling around I got it to work. Pictured with Campfire Audio Orion. 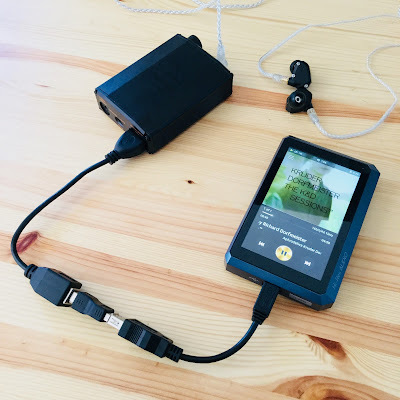 Theres not much to be said for those already familiar with iFi products as the iFi nano iDSD Black Label follows in the same tradition of the products that have come before it. The usual iFi signature of clarity, resolution and a general reference sound. 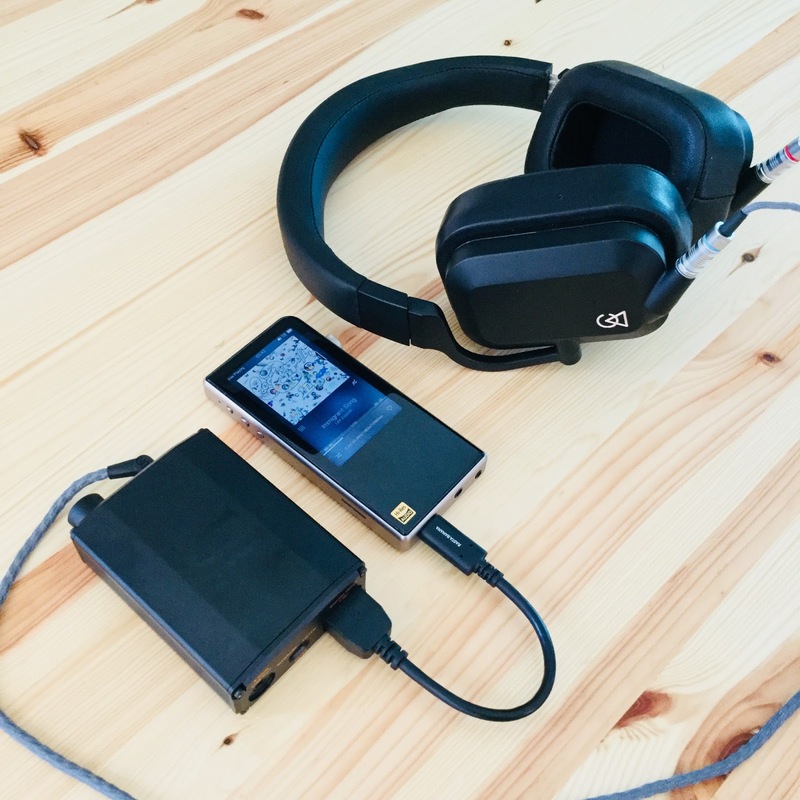 The iFi nano iDSD Black Label a transparent and linear dac/amp. The sound stage is reasonably wide and instrument placement is accurate. Overall resolution is great, and detailing and layering is satisfactory and pleasing. A DAC should in my view not color the source, and hopefully the source is fairly neutral too. A slight variance from product to product cannot be avoided due to different DAC and Amp chips etc etc, but thankfully these days the differences are largely null. And the main points to focus on are how neutral, how accurate the machine is etc. 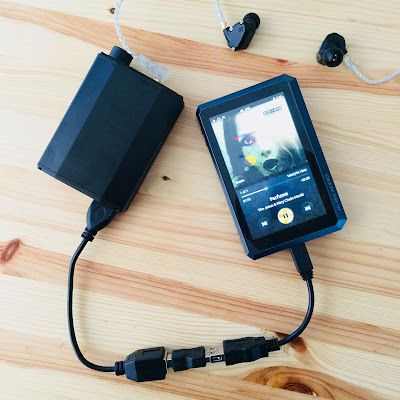 The iFi nano iDSD Black Label is effective in that it packs enough power to drive some large headphones to a decent enough listening level where they perform as they should, yet also at the other end support sensitive in ears. I wont overdo or extensively extend this particular section. The iFi nano iDSD Black Label does what it advertises and does it well. Like other iFi products the build and customer service is excellent. The sound as I have written above is fairly linear and reference orientated. It has enough resolution and power to please. The asking price of the iFi nano iDSD Black Label is an affordable US$200. The iFi nano iDSD Black Label is in summary mid fi at a low fi price. Comparisons between the nano black label and the micro black label are to be expected. From memory whilst obviously the Micro has more bells and whistles and is more often than not described as an audio swiss army knife of sorts, the Nano is more a simplistic, slimmed down version. The Micro does do everything slightly bigger, and the nano is not a slouch by any means is a slightly more subdued version of its larger sibling. The Nano packs a decent amount of power and can drive most cans admirably with ease. Pairing with an Android device can be tricky as there are so many various cables out there. So choose your connector wisely. Connecting to the ipod touch was easy and stress free. As seen above I also was able to connect it to a variety of sources, though my list is not exhaustive nor extensive. I had no issues with connecting to my Macbook pro either. At one time just for sciences sake I went Macbook-usb-nano-line out- cable- home system. The battery life is touted at ten hours, and whilst I never did a proper full discharge I only gave it a few charges whilst my testing went on. Portable or transportable? Well this is a matter of taste. A while back this would have been seen as totally portable, but as devices get smaller and thinner this veers slightly in the direction of transportable, yet still very stackable. I love the volume knob, it does the run the risk of a bump and suddenly increasing the volume due to its smoothness of rotation. But I never encountered such a problem. This is matter of preference and also depends on how much hiss your sensitive IEMs exhibit, or dont. Multi BA IEMs retain their designed signature best at 1 ohms, but If there is hiss then the iEMatch port is your best bet. The Measure and Listen switches are mainly neutral/reference and natural/musical. I found them to be more noticeable with the Direct jack than the IEMatch jack. How audiable the effects were varied from earphone to earphone. The iFi nano iDSD Black Label play back a wide variety of audio formats so most users will be pleased. I myself I have only tested a few but perusing the various forums I read other users met with success and pleasure. It is of a generally neutral signature that is favored by most manufacturers these days and generally demanded and expected by consumers which leave the ear/headphones alone to do their work and exhibit their particular sonic characteristics. The iFi nano iDSD Black Label: mid fi at a low fi price.